Melanie Allen had a dream - to adopt a special needs child and provide a stable loving family for her. But her dream turned into a nightmare that would tear her family apart. 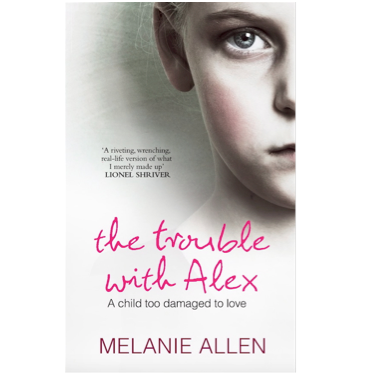 To all appearances the adopted girl, Alex, was obedient, happy and charming but, over the course of five years, Melanie was left desperate by the undiagnosed behavioural condition of Reactive Attachment Disorder (RAD) - a problem not uncommon in children who are neglected. Alex festered with the rage and hatred born out of her unimaginable neglect as an infant. The manifestation of her symptoms was so malevolent and destructive that even Melanie's relatives didn't believe her when she told them the truth about Alex. She sought help from social services, to secure a correct diagnosis and support. What she got instead was to be herself accused of abuse and neglect, resulting in a court case and a near-fatal incident that finally proved her innocence. This shocking story of how a caring, willing family were left powerless and desperate in the face of social services' incompetence is a thought-provoking and page-turning memoir. It is also a powerful, gripping narrative that tells what happens when someone you welcome into your home ends up destroying it through no fault of their own. This is one of the few memoirs to look at the important issue of attachment disorder. 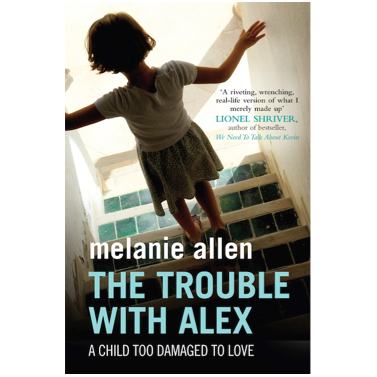 Melanie Allen is a pseudonym.